Cricket, when played in whites, is at it's imperious best and the year 2018 was the year of that, the year of Test cricket. It produced some of the most competitive Test series in recent years. It was a year when many players debuted and relished a dream year. The year 2018 has brought hopes to Test cricket's revival. Those who debuted in this year in Test cricket proved to be a massive difference in many competitions. The debutants played like seasoned cricketers and left everyone in bewilderment. Their skills shined brighter than many established cricketers. So, since we are at the end of 2018, in this segment let us have a look at top 5 Test debuts. 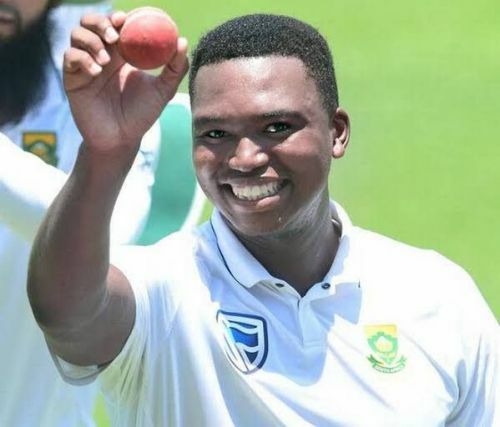 The newest South African bowling talent that took everyone by surprise earlier this year was Lungi Ngidi. When he was given his Test cap at Centurion in January he ensured that he grabbed the opportunity with both hands. He picked up his first 5-for in a Test match against India and bundled them out for a mere 151! In a total of four Test matches, Lungi has picked up 15 wickets at a brilliant average of 19.53. He has proven to be the natural born successor of Morne Morkel who retired earlier this year. He along with Rabada and Philander make a deadly trio of fast bowlers who can rattle any opposition, especially in their home conditions. 2018: The year that had it all.